Prolific songwriter, award-winning artiste and music icon Samsong returns with “E Dey Work”. Titled in Nigeria’s local language “Pidgin English” E Dey Work which means “It’s Working”. E Dey Work is set to be an anthem in 2019. Beyond the groovy song, it’s filled with prophetic declarations. What you speak is what you see and become. E Dey Work reaffirms that you are the first prophet over your life. “we are children of the light, we are taught to speak what we want to see. A lot of misconception and false doctrines are everywhere online, that it doesn’t work for you does not mean it won’t work for another. In simple terms. 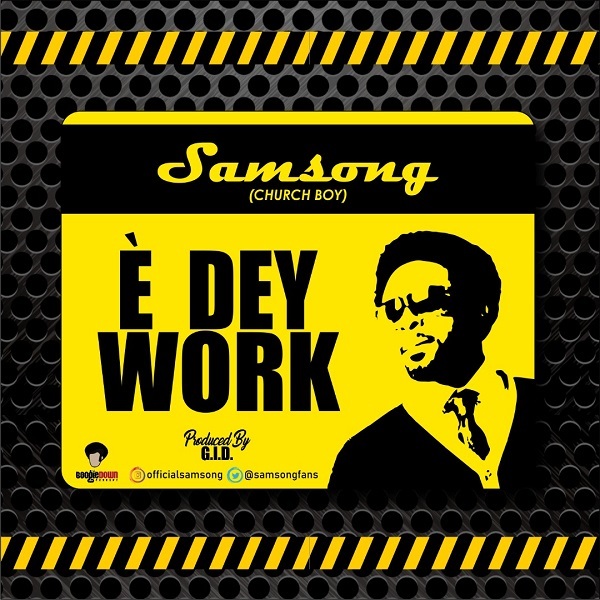 E Dey Work.” : Samsong produced by GID for Boogie Down Concepts. Download, listen, share and be inspired!